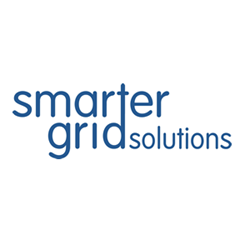 Smarter Grid Solutions Appoints New Chief Executive. Smarter Grid Solutions has appointed Jim Kent to be its new Chief Executive. He takes over from Gerry Docherty, who has led the company since 2013, with Docherty moving to the Chairman role. Kent is an experienced technology sector specialist, having served as Chief Executive at Datapoint and before that as Chief Executive of Vistorm, following a long executive-level career with HP and Compaq. Smarter Grid Solutions provides innovative technology products to major utility companies, allowing them to manage electricity networks more effectively, incorporating renewable energy sources and creating so-called “smart grids”. Their products are already used widely in the UK, and in recent times the company has extended its reach into North America, winning a number of sizeable contracts. “We are in the process of scaling up our organisational structures in North America, through direct recruitment and by establishing partner networks. Jim’s experience of building businesses will be invaluable,” said Docherty. Smarter Grid Solutions delivers products and consultancy services that enable Distribution Network Operators (DNOs) and developers to integrate Distributed Energy Resources (DER). The company provides world-leading Active Network Management products, planning tools and a range of consultancy services, and is the only provider to uniquely combine real-time, autonomous and deterministic control into its Active Network Management solutions. Its products are transforming the utilisation and resilience of the grid, and managing connected customers at greatly reduced cost, without compromising safety and security. It supports customers worldwide from its offices in Glasgow, London and New York.